Renault had been building a small hatchback called the Renault 5 which was an extremely popular car at the time. 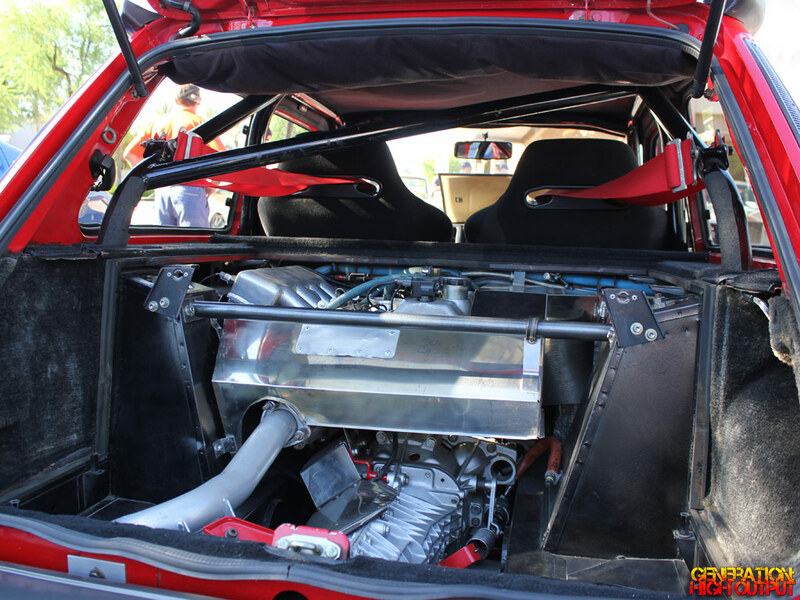 The car was available with small 782 or 956cc engines producing 36 and 44 horsepower, respectively. Not long after that, Renault developed a performance model called the Alpine. With a larger 1.4L OHV engine with a crossflow cylinder head and hemispherical combustion chambers, it produced a much-improved 92 horsepower. Then in 1982, Renault slapped a Garrett T3 turbo on that and called it the Renault 5 Alpine Turbo, and it made 110 horsepower. With a top speed of 111 mph and 0-60 time of 8.7 seconds, it was a very quick little car and was highly praised by the automotive press. It was about this time that Renault (a French company) decided to build a car that would compete with their rival Lancia (an Italian company) in rally racing. They decided to prepare the Renault 5 for Group 4 rally racing. If you were a Renault engineer, what would you do? 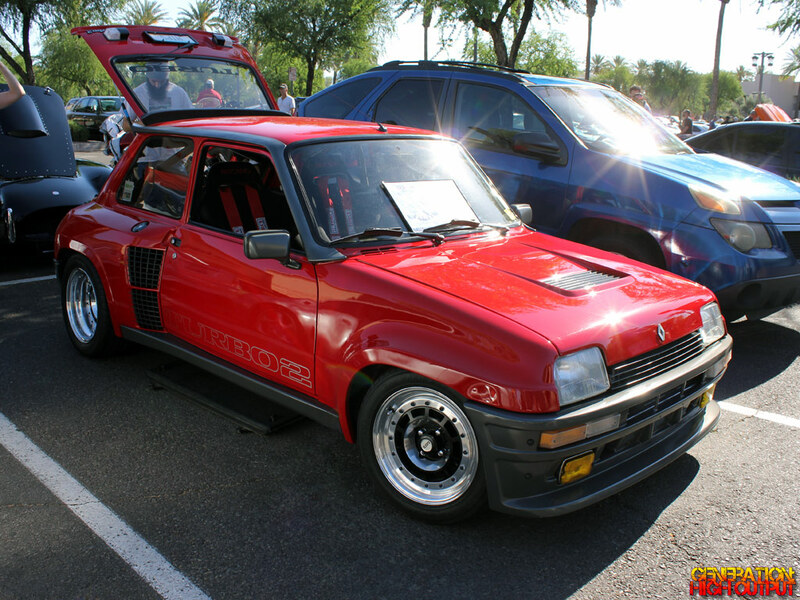 Personally, I would take the Renault 5 Alpine Turbo, add some wider tires, maybe crank the boost up a bit, and call it a day. As it turns out, Renault did a bit more than that! While the outside of the car still looked like a Renault 5, the rest of the car changed dramatically. The front-engine, front wheel drive car became a mid-engine, rear wheel drive car. 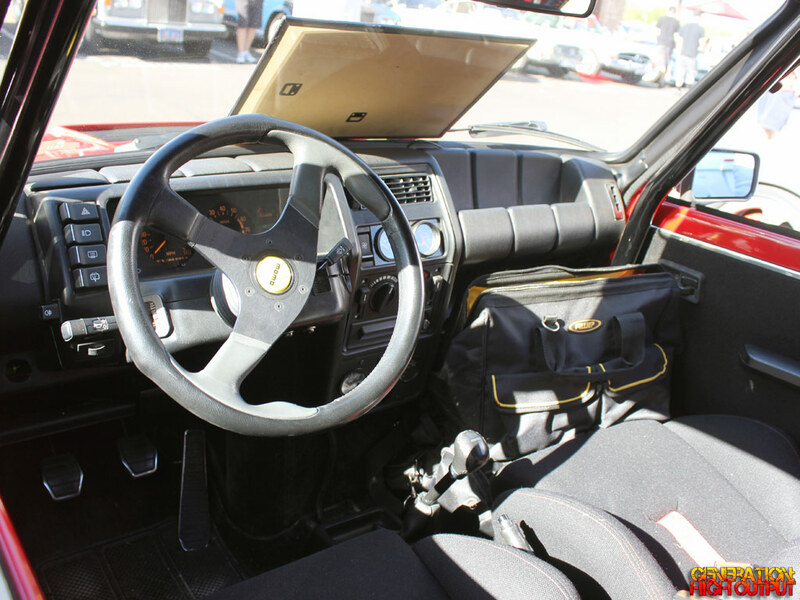 The same 1.4L turbo engine was cranked up to 158 horsepower and 163 lb-ft of torque. Renault also contacted Bertone designer Marcello Gandini for help in designing the car’s massive rear fender flares (Gandini also designed, among other things, the Lamborghini Espada, Jarama, and the famous Countach). So now Renault has this fire-breathing, mid-engine, turbocharged RWD hatchback that’s ready to go racing. During its first outing in the 1981 World Rally Championship series, it won the Monte Carlo Rally! The car also competed in the Critérium des Cévennes, the Tour de Corse, and many other rally events. But of course, Renault had to sell them to the public as well. The company produced them for four years, during which time they built just 3,167 cars. This car is one of only 200 produced in the year 1985. This race-bred European rally car is a rare sight to see here in the US, especially one in such well-kept condition. I hope the car’s owners will continue to bring it out to events for people to see and enjoy for many years to come. 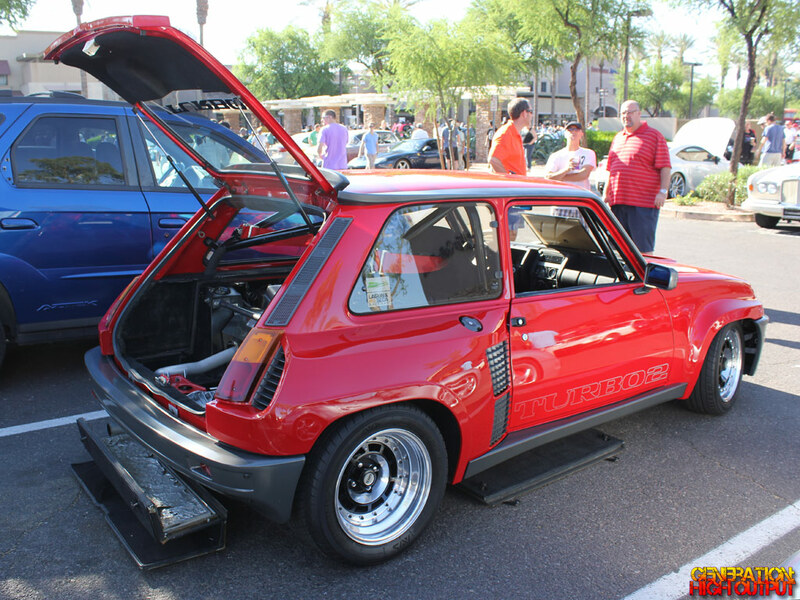 This entry was posted in Cars and Coffee, Not Sold Here and tagged 1980's, cars and coffee, Marcello Gandini, mid-engine, rally car, rare, Renault, Street Legal, turbo II, turbocharged by Trevor Freeman. Bookmark the permalink.